Our book "Liberty Seated Dollars: A Register of Die Varieties" is still available, but a limited supply remains. Please visit Books For Sale for more information. We have sold out of hard-bound copies of our first printing. We have about 30 of the spiral-bound copies remaining for purchase. 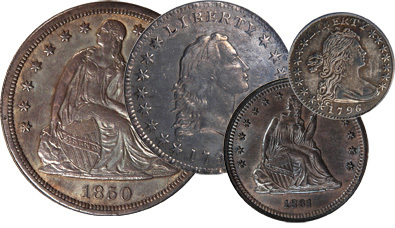 Copyright © 2003-2019 Osburn Cushing Numismatics. All Rights Reserved.